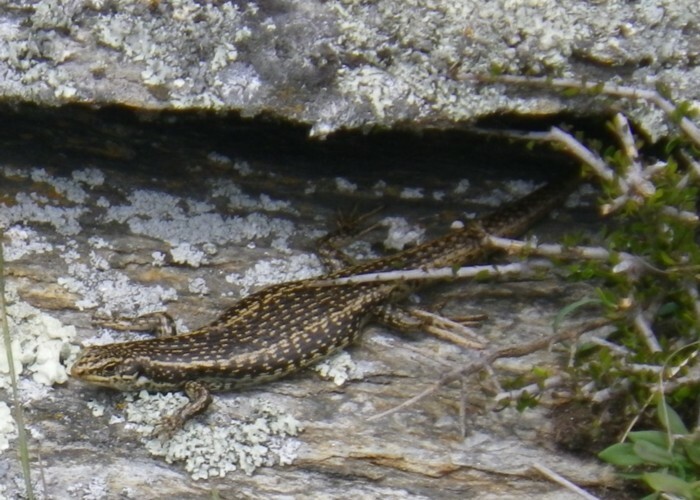 Grand Skink (Oligosoma grande) on DOC land near Macraes Flat. The area is under intensive predator trapping to protect these native skink populations with several rangers working full-time in the reserve on their protection. Added 1 November 2016 by madpommadpom. 1 revision 1 November 2016 by madpommadpom.